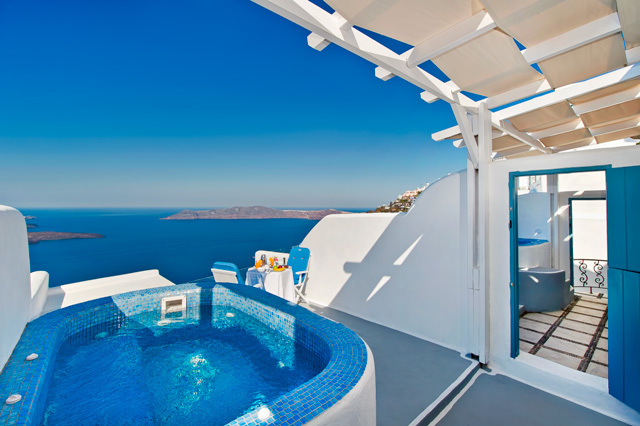 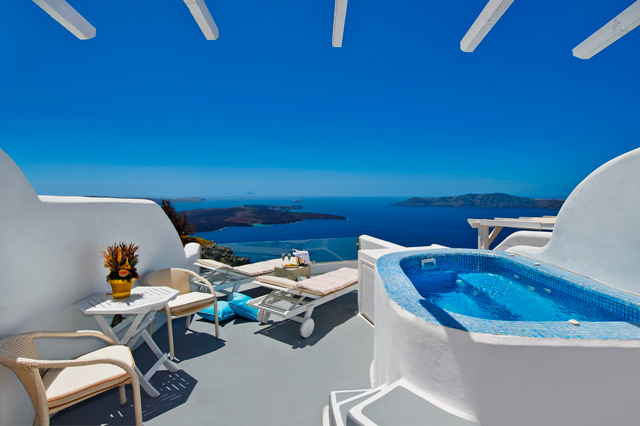 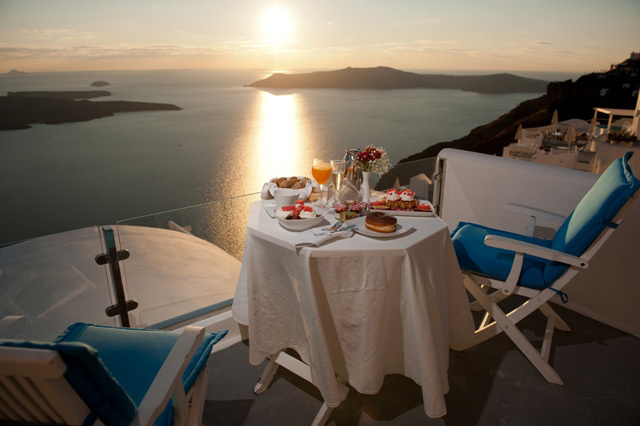 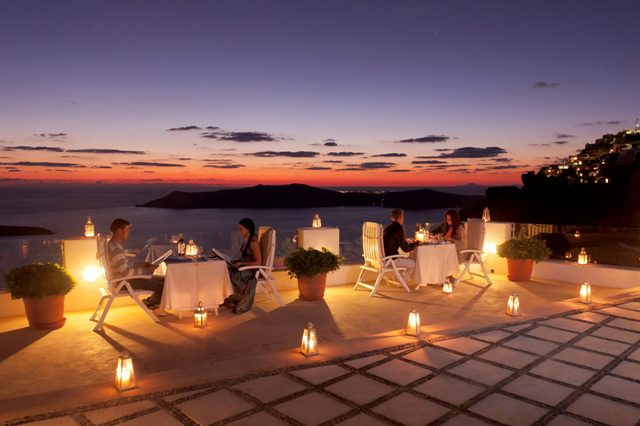 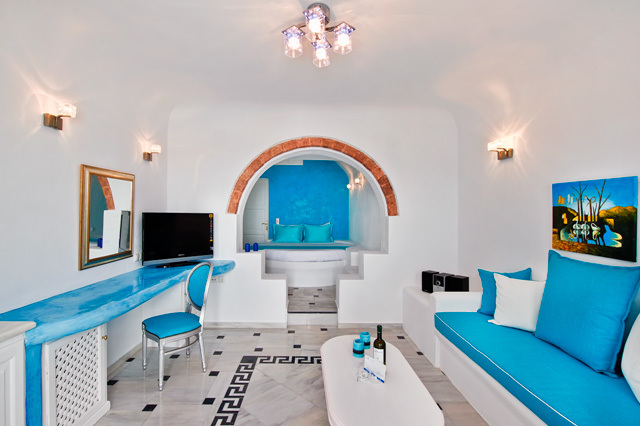 Pegasus Suites & Spa promises you carefree and memorable vacations while enjoying the magic and the mystery of one of the most romantic destinations around the world. 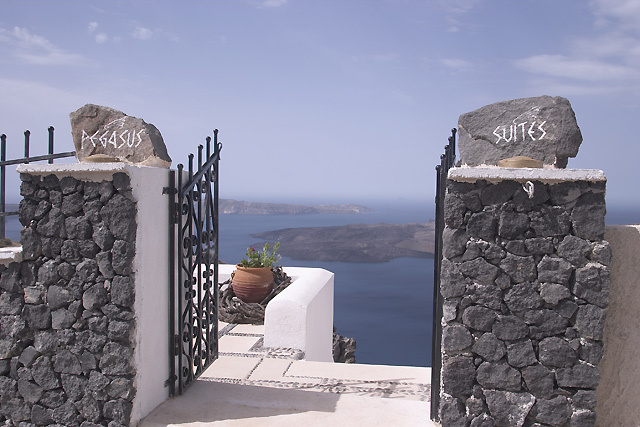 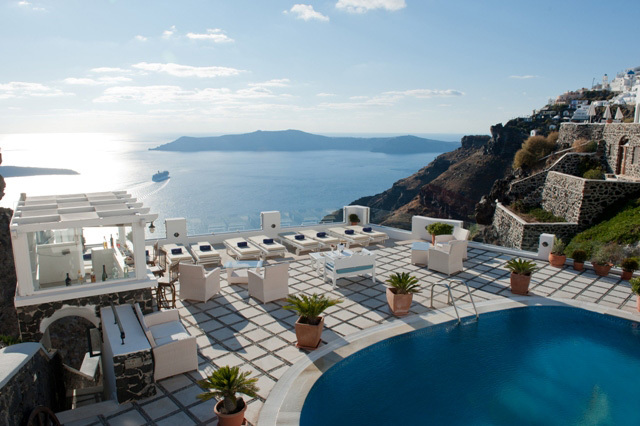 Set amphitheatrically over the cliffs and following the particular architecture of the island, the hotel blends in completely with the uniqueness of the scenery, preserving the caves, the volcanic rocks, the white and blue colors of the Aegean without sacrificing its modern style. 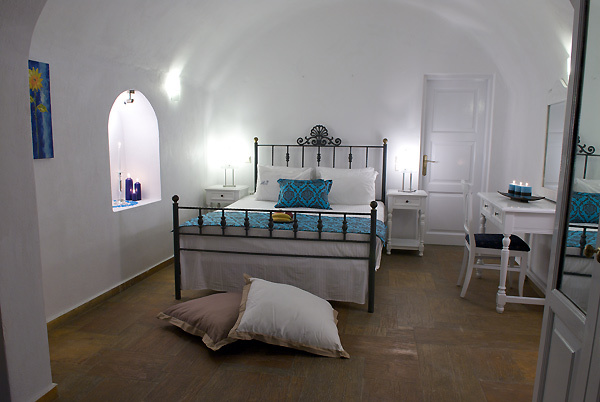 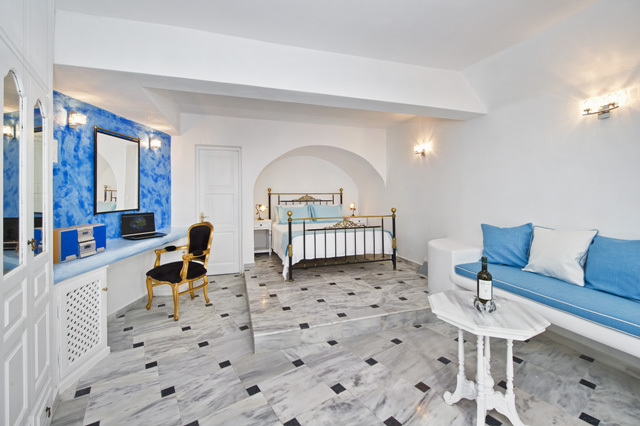 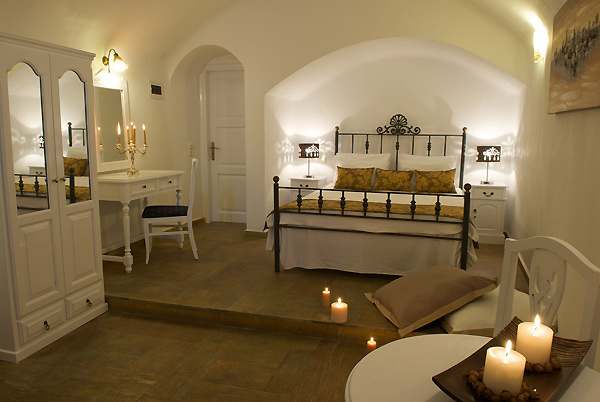 The studios and suites have been constructed and decorated according to the Cycladic architecture and they offer to their guests comfort, luxury, pleasant mood, romantic atmosphere and of course unforgettable stay. 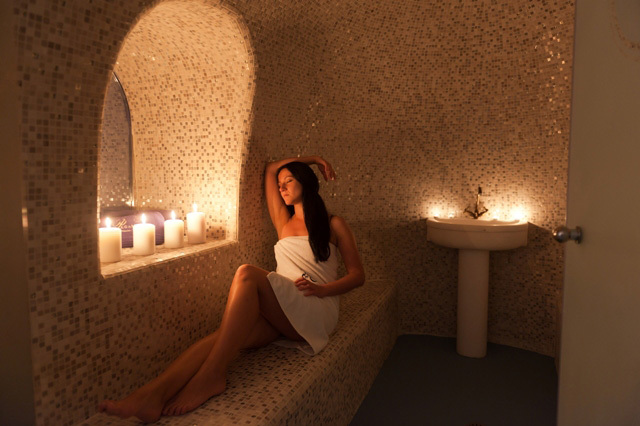 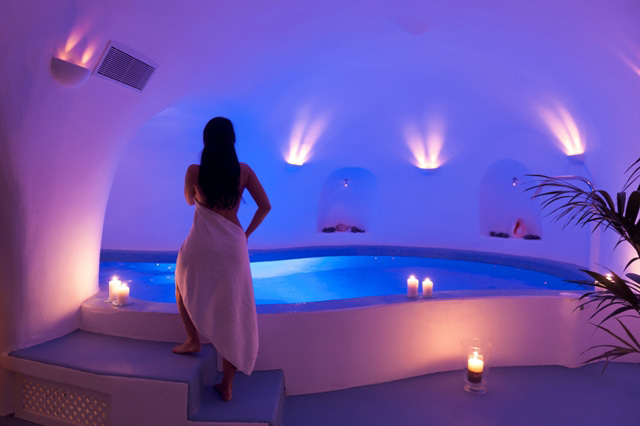 Our hotel provides also a list of exclusive services and facilities such as suites with exterior private Jacuzzi, amazing pool with view of the Caldera, a gourmet restaurant, a Spa with indoor heated pool, Jacuzzi, sauna, hammam and a variety of treatments to relax your body and soul.